Sorry folks, engines stalled. Looks like everyone is too busy for Game Night tonight. Dry Bowser has had it up to here (points over head) with Mario’s antics, and is ready to lay it all out on the track! 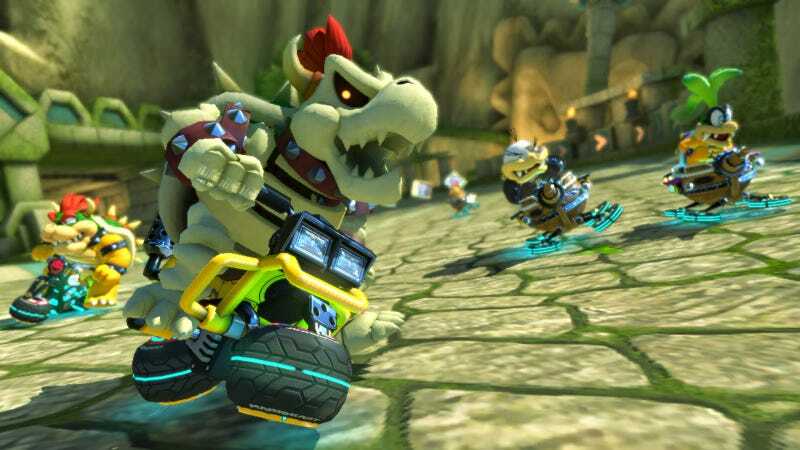 Join us at 9:00 PM EST for some 200cc Mario Kart 8 action on the Wii U. My Nintendo Network ID is SupremeEvan, so add me to your Friends List if you haven’t already! The room will be up and running by 9:00 PM at the latest (though I will probably start a little early), and when we get enough people I’ll start the races. Anyone can join in after that! We’ll be racing with the new DLC Pack 2, so make sure you’ve got it all downloaded and installed before the race.